Further to “10 Interesting Facts About Napoleon Bonaparte,” here are 10 more fun Napoleon facts you may not have come across. 1. Napoleon was a bad dancer. 2. Napoleon didn’t like women to wear black. 3. Napoleon was hard to shave. 4. Napoleon liked to eat with his fingers. 5. Napoleon spoke French with a Corsican accent. 6. Napoleon had terrible handwriting. Napoleon told Dr. O’Meara that his handwriting actually improved on St. Helena. 7. Napoleon liked to give people nicknames. 8. Napoleon arranged his head like a tidy closet. 9. Napoleon didn’t sleep much. 10. Napoleon liked his rooms hot. For more Napoleon facts, see 10 Interesting Facts about Napoleon Bonaparte. Antoine Claire Thibaudeau, Mémoires sur le Consulat, 1799 à 1804 (Paris, 1827), p. 18. André Pons de L’Hérault, Souvenirs et Anecdotes de l’Île d’Elbe (Paris, 1897), pp. 260-261. Louis Antoine Fauvelet de Bourienne, Memoirs of Napoleon Bonaparte, Vol. I (London, 1836), p. 284. Louis Constant Wairy, Memoirs of Constant on the Private Life of Napoleon, his Family and his Court, translated by Elizabeth Gilbert Martin (New York, 1907), Vol. I, p. 153. Bourrienne, Memoirs of Napoleon Bonaparte, Vol. I, p. 279. Constant, Memoirs of Constant on the Private Life of Napoleon, his Family and his Court, Vol. I, pp. 320-321. Jean-Antoine Chaptal, Mes souvenirs sur Napoléon (Paris, 1893), pp. 351-352. Barry O’Meara, Napoleon in Exile; or, A Voice from St. Helena, Vol. II (London, 1822), pp. 10-11. Emmanuel-August-Dieudonné de Las Cases, Memoirs of the Life, Exile, and Conversations of the Emperor Napoleon at Saint Helena, Vol. III (New York, 1855), pp. 343-344. O’Meara, Napoleon in Exile, Vol. II, pp. 15-16. Las Cases, Memoirs of the Life, Exile, and Conversations of the Emperor Napoleon at Saint Helena, Vol. III, p. 345. Louis Étienne Saint-Denis, Napoleon from the Tuileries to St. Helena, translated by Frank Hunter Potter (New York and London, 1922), p. 181. Constant, Memoirs of Constant on the Private Life of Napoleon, his Family and his Court, Vol. I, p. 333. William Forsyth, History of the Captivity of Napoleon at St. Helena from the Letters and Journals of the Late Lieut-Gen. Sir Hudson Lowe, Vol. II (London, 1853), p. 207. I enjoyed reading your blog post; I love these small fun facts from the more every-day realm of Napoleon’s life. They can say so much about someone’s personality. I remember seeing a cartoon at a Napoleon exhibition in Bonn, on which Napoleon is taking dancing lessons from the then famous actor Talma. Like many of the cartoons of that era, it was hilarious. I often wonder to what extent Napoleon’s siblings resembled him or differed from him when it comes to these small habits. Thanks, Pim. I’m glad you liked it. I think this is the Talma cartoon: http://nicolequinnnarrates.blogspot.ca/2012/07/napoleonic-era-political-caricatures.html. I also found a good one here, in which the Russians teach Napoleon how to dance: http://historiana.eu/collection/cartoons-about-napoleon. Napoleon’s siblings had their idiosyncrasies, though not as thoroughly documented as Napoleon’s. I’m planning to do a post on fun facts about Napoleon’s family, in which I’ll look at some of them. 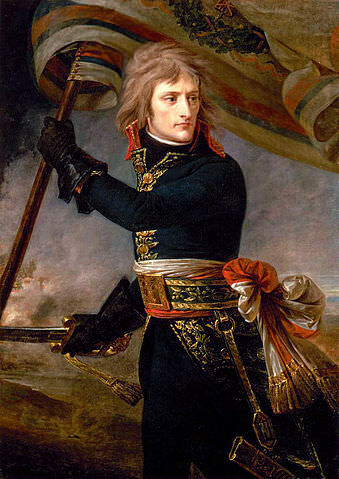 Napoleon had two problems that made him feel different from the other important people throughout his life: 1. he spoke French with a Corsican accent, as you noted and 2. he was barely average height. I understand how he felt. Thanks for commenting, Helen. Napoleon was actually an inch or two above the average height for a Frenchman of his time. 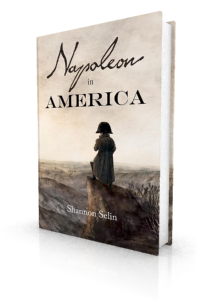 My friend and fellow author Margaret Rodenberg has written a good article about that: http://www.mrodenberg.com/2013/10/24/how-tall-short-was-napoleon-bonaparte/. #8 made me think of Sherlock and his mind palace, lol. I do admire his ability to “shut the drawers” and sleep. Fantastic and fascinating post as always! Interesting post, as always, Shannon. It’s totally in character that Napoleon wouldn’t sit still for a shave. Thanks, Margaret. How true! In his prime, I don’t think he sat still for much of anything. I highly appreciated the curiosities about Napoleon. I am an author and historian and, of course, I esteem Napoleon to be a great politician and general (many times a bit lucky, too lucky, but terribly unlucky at Waterloo). The Russian Campaign was his terrible mistake: maybe he should have better considered and reflected on the misadventure of Charles XII of Sweden (Poltava…). From a human point of view I think that was intolerable the behaviour of Napoleon toward the innocent and quiet Duke of Enghien. This is one of the focal points for which I do not like “the Man Napoleon”. I thank Shannon Selin for her very interesting comments. Thank you, Gianni. I’m glad you enjoyed the article. Russia was indeed Napoleon’s big mistake. And his execution of the Duke of Enghien was horrible. I was cracking up imagining Napoleon being shaved. Just curious: could he of had ADHD? I writing a book on Napoleon myself, and your blog has been a constant source of inspiration and information. Thanks! Good question, Elle. He certainly seemed to have trouble sitting still, though he later became quite sluggish on St. Helena. I’m glad you’re finding the blog helpful. 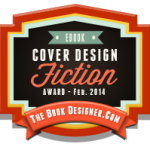 Good luck with your book! It is worth noting that many French people at this time spoke with pronounced accents, including some of Napoléon’s generals. Many people in this era natively spoke regional languages and only learned French later (or not at all). Of course, it was unusual for a French head of state to have an accent like that, though. He preferred to use his fingers instead of a fork, or even a spoon; we were careful to put the dish he liked best within his reach.